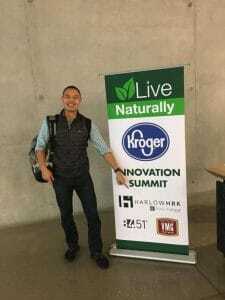 For the first time ever, Kroger, 84.51, HarlowHRK/Impact, and VMG sponsored and developed an innovation summit that included 44 new and emerging brands in the natural/specialty category. 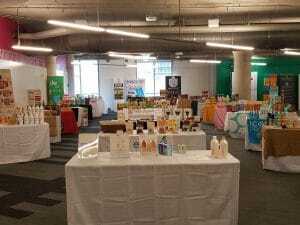 These new companies showcased their products to dozens of Kroger category managers who learned about the latest trends and the brands that are leading the charge within those arenas. 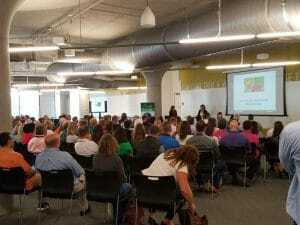 The summit started off with a presentation by Jill McIntosh, VP of Natural for Kroger, discussing Kroger’s plans to fulfill the ever increasing demand for natural foods. That was followed by presentations from 84.51, IRI and Spins. Finally, Joe Bauer, entrepreneur, Nutritionist and Today Show contributor, talked about the importance of using food as your first line of defense for good health. The day ended with category managers touring the booths of a variety of manufacturers. The day was a huge success and has been covered by all the major press outlets within the grocery and natural food industry. The future looks bright as Kroger intends on holding this event quarterly. 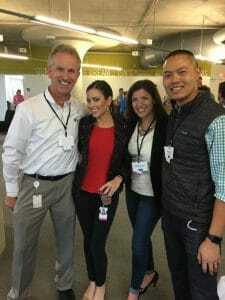 Kudos to Dave Slusher VP of Natural, Stacy Koffel – Director of Marketing, and the entire natural team for flawlessly executing this event.